New York Court Watcher: Want Scalia-type Justices? Really? We've heard from President-elect Trump about how much he admired Justice Antonin Scalia. Since early in his campaign, he has repeated that he wants to appoint Justices like Scalia. 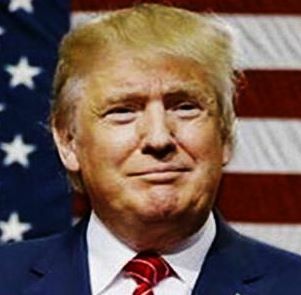 Trump supporters, both in and out of government, have reacted with great enthusiasm. But how many of Trump's supporters and of the self-proclaimed Scalia admirers actually know much about Scalia's record? How much does Trump himself actually know? Perhaps even more critically, how much do those Senators, who now celebrate Trump's promise to appoint Scalia-like Justices, actually know? And how will they react if and when they are confronted by Scalia's actual record? Beyond that, how will the supposed Scalia-admiring Trump nominee(s) themselves respond if and when confronted with Scalia's actual record? What about the public, if and when they learn about Scalia's actual record? How much will the supposed Scalia-admiring nominee(s) and Senators equivocate on their admiration if and when confronted by Scalia's actual record--especially if and when the prospect of a Scalia-like Justice becomes less popular among the public? I'm referring to the body of his judicial work. His views on the most pressing constitutional issues of the day. The results he vigorously advocated. Those he fiercely condemned. His actual record. Recall when the supporters of President Reagan's Supreme Court nominee Robert Bork were confronted with his actual record--his writings both on and off the bench. Bork's formerly strong support among the public, Reagan, and the Senate dissipated. Ultimately, of course, his nomination was defeated. A conservative jurist might well be appealing. But not one whose record, like Bork's, seemed to be--or was made to seem--downright reactionary. 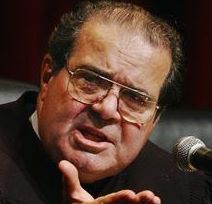 At least as much as Bork's, Scalia's record was downright reactionary. Call it originalist or textualist or traditionalist or constitutionalist or whatever adjective one might choose. Good, bad, or indifferent, it was reactionary. Scalia wanted to take constitutional law back to 1787 when the Constitution was adopted, to 1792 when the Bill of Rights was approved, and 1868 when the 14th Amendment (inter alia , equal protection) was ratified. Perhaps he adopted this posture out of a sincere fidelity to his avowed view of the judicial role. Perhaps it was a convenient means to support the results he preferred to begin with. Whatever the truth of that, the positions he advocated on many of the most important constitutional issues of our time were downright reactionary. But more to the point here, if and when the Senators and the public are confronted with Scalia's actual record--the reactionary results he preferred and positions he advocated--his supposed admirers may be less admiring and the supposed supporters of Scalia-like Justices less supportive. Yes, his positions on religious liberty, women's rights, search and seizure, cruel and unusual punishment, etc. His actual record with which the supposed Scalia-like Trump's nominee(s) and the supposed Scalia-admiring Senators should be confronted. We'll take a survey of some of those positions advocated by Scalia--his actual record--in the next post.